Failure to find the correct software for your business will present issues in both the long and short-term. 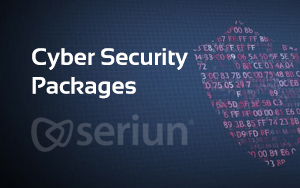 At Seriun, we understand the ins and outs of unified communications and how to maximise results by using high quality software. We believe that any technology or communication solution that is integrated into your business should provide benefits for your in-house teams, remote workers, suppliers, partners and most importantly your customers. Our telecoms team have a portfolio of unified communications software for you to choose from, plus we will make intelligent recommendations on the best software for you based on our discussions. Failure to have the correct unified communications software implemented within your business will impact on your team as they will suffer the effects of limited collaboration. 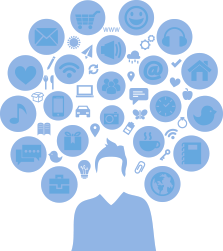 Subsequently their productivity and efficiency will be affected and therefore will negatively impact on your customers experience too. We have worked with many tele-focused companies on ensuring that they are optimising the software available to them to maximise efficiencies within their teams. Options such as call recording and reporting are vital to a modern business that wants to improve key processes and monitor their team’s performance on a regular basis. Communication both internally and externally can be good indictors as to how your teams are performing and as a result, what level of customer service your organisation is providing. There are many different unified communications solutions that our team provide, all of which are designed to solve a specific issue that businesses commonly experience. 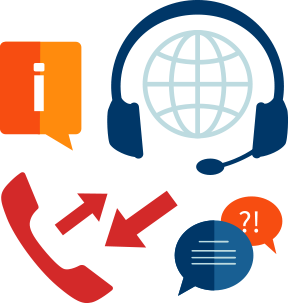 We have worked with many contact centres and tele teams on their requirements for unified communications software. 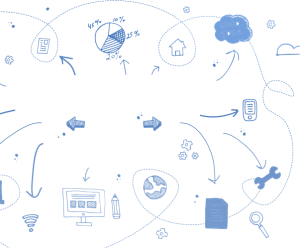 We provide a range of comprehensive solutions that can work alone or as part of a wider network of solutions. Call recording and reporting is extremely beneficial for businesses that rely heavily on the performance of their tele teams. Recording calls can help to improve quality and train new team members. Our Call recording and reporting software offers an extensive range of statistics to enable your team to monitor progress and quality. 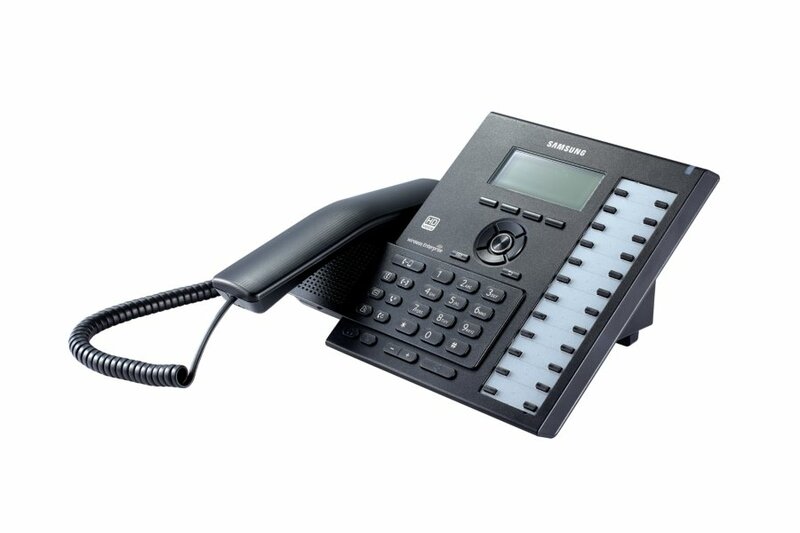 Samsung Xchange is designed to provide comprehensive telephony solutions for small to medium sized businesses. Making complex tasks simple, this unified communications technology is ideal for businesses that want all their requirements within one solution. Enabling you to connect all members of your teams, our collaboration and mobility solutions provide the ideal solution for remote teams across the world. With our solutions you will benefit from clear communication no matter what the distance. 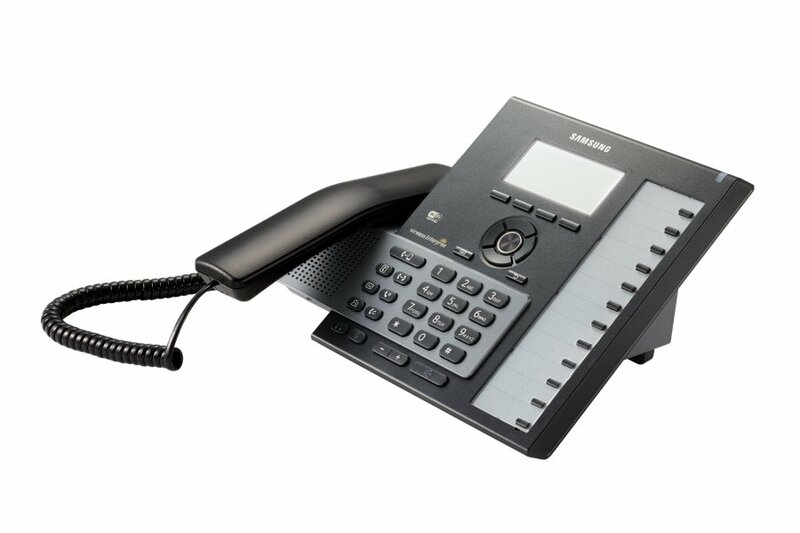 The Samsung SMT I3105 IP Telephone is the entry level IP Telephone designed to replace traditional digital telephones. Perfect for common areas, lobbies and waiting rooms, the SMT-i3105 offers a level of capacity, functionality and features that are well suited to low to moderate users. It offers easy call transfer, hold and mute capabilities and can be placed on a desk or wall mounted. 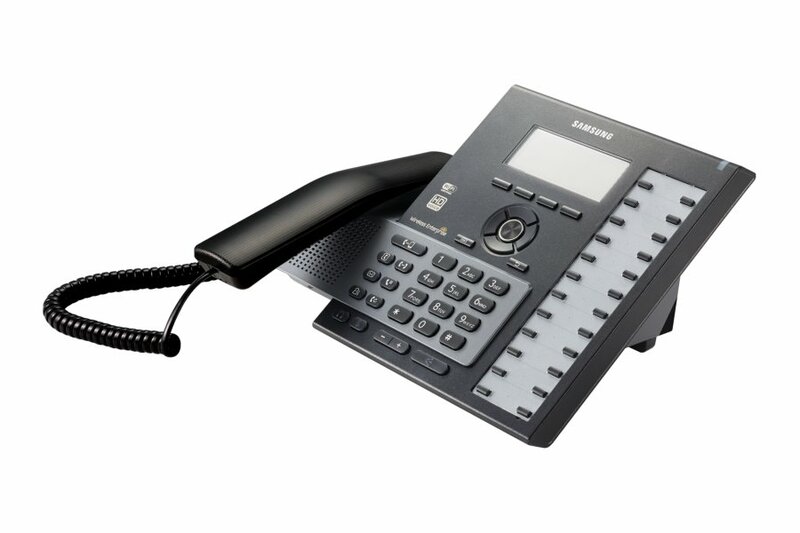 The SMT-i6010 is a functional and user friendly entry-level IP phone, suitable for most staff areas in small and medium-size offices this handset is popular amongst our customers. 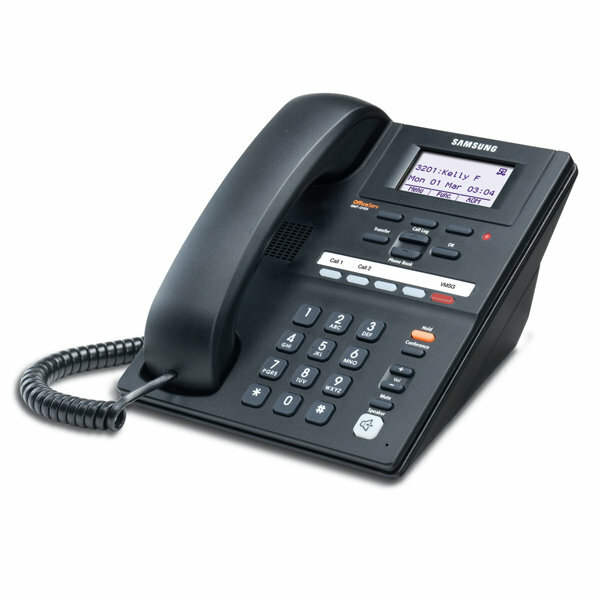 The Samsung IP handset is easy to use, stylish to look at and offers crystal clear communications. Direct access to voice mail, call logs and system directory are just a few of the items accessible at the touch of a button. A superb IP phone for executive assistants and managers, the SMT-i6011 VoIP phone offers a polished and professional look. With integrated WiFi and Bluetooth, this desk phone offers a lot of advanced features for a very competitive price. As well as the standard capabilities you would expect from a telephone of this calibre, the SMT-i6011 also offers much more than the standard. The SMT-i6020 desk phone is a practical addition to the SMT-i600 series that offers convenient features for all members of staff, including volume control, do not disturb feature, voice mail, conference calling, hold, re-dial, call forwarding, call mute and call transferring. The simple USB drive lets you easily configure new phones and upgrade phone software. 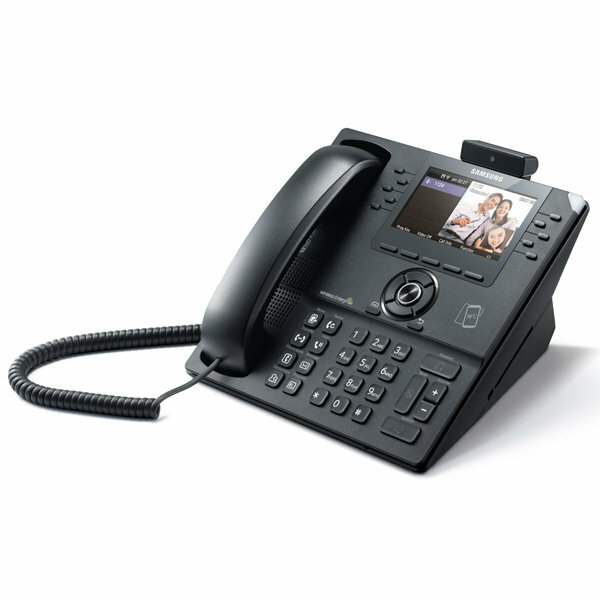 Perfect for executive offices, the SMT-i6021 is the next big thing in VoIP phones. This powerful IP phone connects with executives smartphones while offering many advanced telephony features, including wired and wireless connectivity, call sharing via Bluetooth, seamless call handover to your smartphone and crystal clear voice. An executive level combination of power and style, the Samsung SMT-i5343 takes IP connectivity to a whole new level. This top-of-the-line and intuitive IP phone will seamlessly connect with employees’ mobile devices, enabling management and senior level staff to increase productivity and make the most of mobility. Get in touch - We don't do hard sales.! Please confirm that we can send you information regarding our services and store your information. Use our Ethernet checker, providing instant pricing for speeds up to 1GB with Disaster Recovery failover options, to your offices in less than 60 seconds. 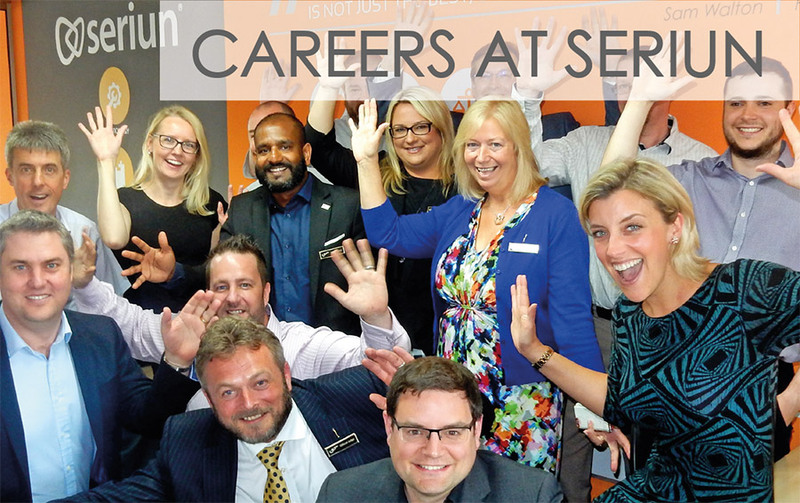 If you require control over your level of IT or Telecoms support, and would like to find out more about how Seriun can reduce your IT costs and deliver a managed outsourced department – get in touch or give us a call now.